The RansomWhere? tool detects when ransomware programs start encrypting files and then blocks them. Called RansomWhere?, the application is the creation of Patrick Wardle, director of research and development at security firm Synack. It's meant to detect and block the encryption of files by untrusted processes. The tool monitors users' home directories and detects when encrypted files are rapidly created inside them—a telltale sign of ransomware activity. 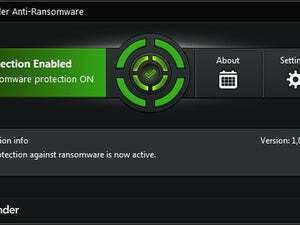 When such activity is detected, RansomWhere? determines the process responsible and suspends it. To limit false positives—legitimate encryption programs being detected as ransomware—the tool whitelists all applications signed by Apple and most of those that already exist on the computer when RansomWhere? is first installed.